We’ve just started to see new smartphones and tablets arrive with Android 4.4 KitKat and it looks like Google is already working on a newer version of its mobile platform. According to a report, the Mountain View giant plans to launch Android 4.5 in June and it will also announce a new tablet, the Nexus 8. This information was provided to Android Geeks by an unnamed Google Dublin employee. According to the insider, the company will unveil Android 4.5 at the annual I/O developer conference that’s scheduled to take place on June 25 and 26th this year. While nothing concrete about the OS was revealed, the source did mention that the conference will highlight Google’s new services. 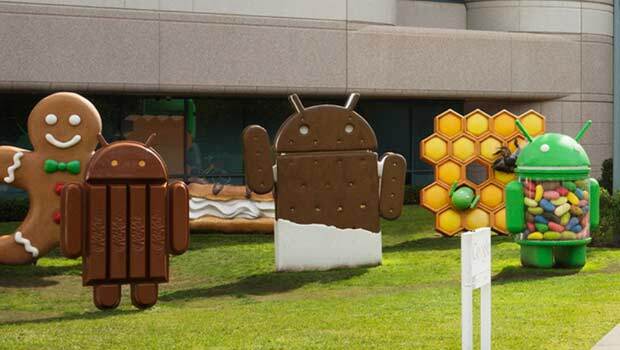 Coming to the Nexus 8, the tablet could be the first to run on Android 4.5. The main question is why develop an 8-inch slate when Google already has a 7-inch model? Well, it turns out that the 7-inch segment is too crowded and the company plans to move to a less competitive market. This also means that the Nexus 7 would be scraped. It’s highly unlikely that Google will implement a new name for Android 4.5 and we feel that it’s too soon to drop KitKat as the brand moniker. In other news, Google plans to kill the Nexus brand in 2015, replacing it with Google Play Edition versions of popular handsets and tablets. Like all rumors, we advise you to take this information on Android 4.5 and the Nexus 8 with a pinch of salt. We’ll be sure to update you with more information as and when available.